This topic will cover how to install Charts+ Windows on your system and the minimum requirements that you will need to run the application. The minimum requirements that are needed to run Charts+ Windows application. 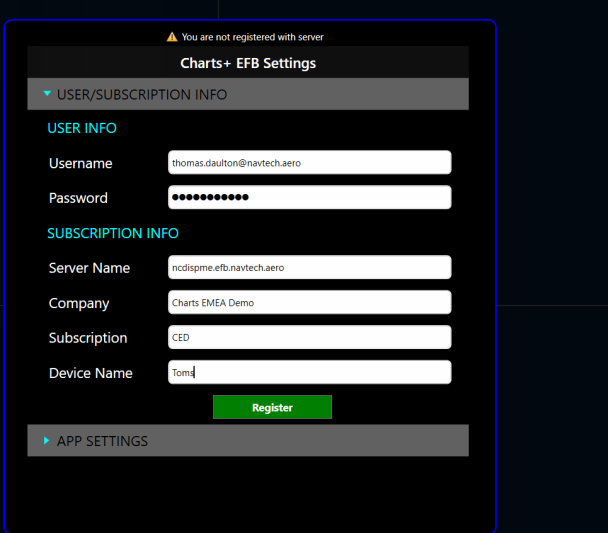 This section describes how to install Charts+ Windows on your device. Consult your NAVBLUE Account Manager for information required to connect to the chart service once installation is complete. Windows installation steps vary depending on your configuration/mode that you are using Charts+ Windows. This section describes the installation steps for NCDIS mode and LPC-NG mode. You must complete the steps listed in your configuration before you can begin using Charts+ Windows. Contact your System Administrator or NAVBLUE Account Manager if you are unsure of which instructions to follow. For installation in any mode, complete the instructions for Charts+ Windows installation in the order explained and on the target device. Let's us now run through the installation process. You will be able to open the Charts+ Windows installation file by simply double clicking on the folder. Before the installation begins we recommend you to read through the license terms and conditions. Once this has been read through you can check the "I agree with the license and conditions" checkbox. Click the I agree to the terms and conditions checkbox. You will not be able to proceed to the installation until the check box has been ticked. This section will allow you to select the Charts+ Windows mode that you want to install. 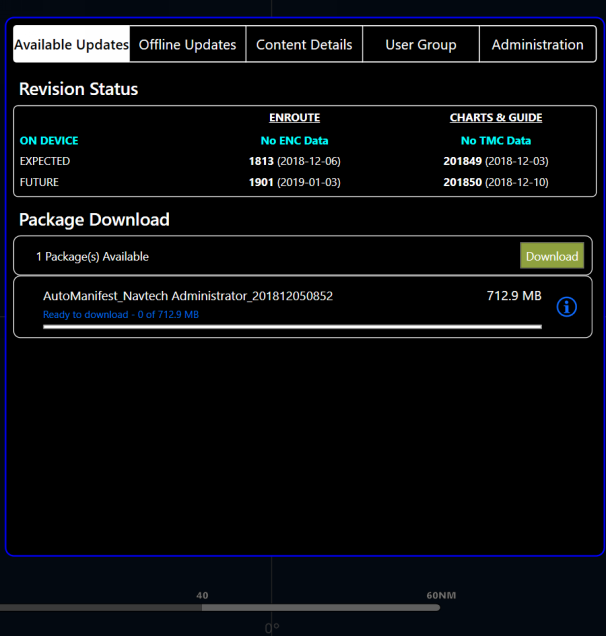 If you are unsure contact your NAVBLUE account manager or support to find out which version to install. In this demonstration the first bullet point will be checked. 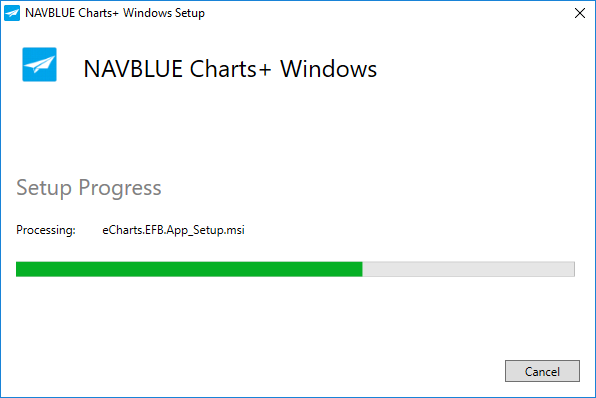 Follow the NAVBLUE Charts+ Windows setup dialog for updates on the progress of the installation. Click close to finish the installation once the setup is complete. Once installation is completed the Charts+ Windows icon will be located on your desktop. From there you will now be able to open the application and you will be taken to the following screen. Notice how enroute data is not available, this is perfectly normal for a first installation. Let's go to the settings to get some data. To access the User/Subscription Info click on the down arrow to expand the section. All this information will be provided by your account manager or system administrator. 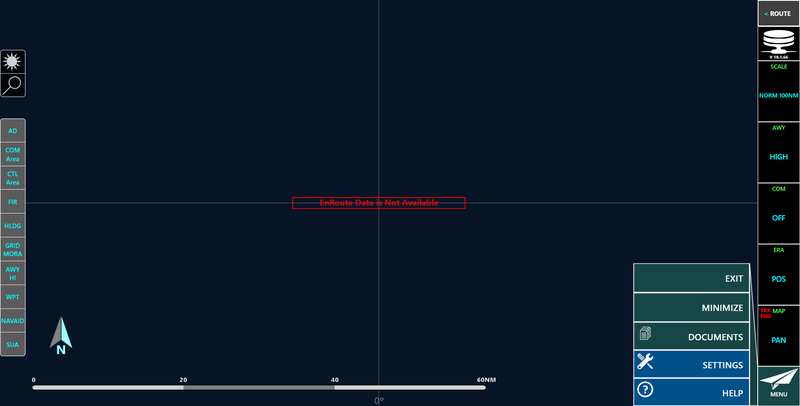 Once all the information has been provided you will be able to register and start to use Charts+ Windows. Once completed, Charts+ Windows will connect to the Charts+ Information Manager to determine the availability of a new chart revision package for download. Click the Revision Status Icon button. 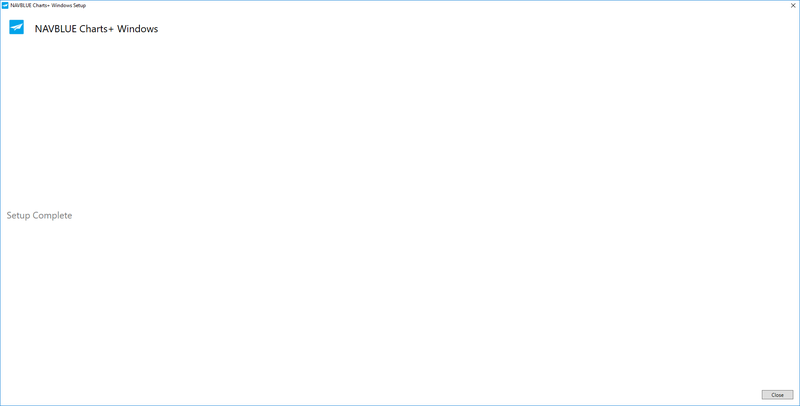 White database symbol: No data on the device. Green database symbol: Data on the device (enroute and/or charts & NAVBLUE guide information) is up-to-date. Red database symbol: Data on the device (enroute and/or charts & NAVBLUE guide information) is not up-to-date. This is the number of available packages to download. The number will be positioned in the top right of the application status icon (whatever the color of the icon). Now the subscription information has been inputted the application will restart. After the restart, the status icon located at the top right hand corner of the enroute screen identifies the status of the data on the application. Underneath the application status icon, the version of the application is indicated (i.e. "V 18.1.66"). You can see that since you have updated the user/subscriptions information you have a package that needs to be downloaded (this can take up to 30 seconds to appear), you can go ahead and tap the application status icon to access the available updates. You can see that you have one package to download. This is perfectly normal for a first time installation. 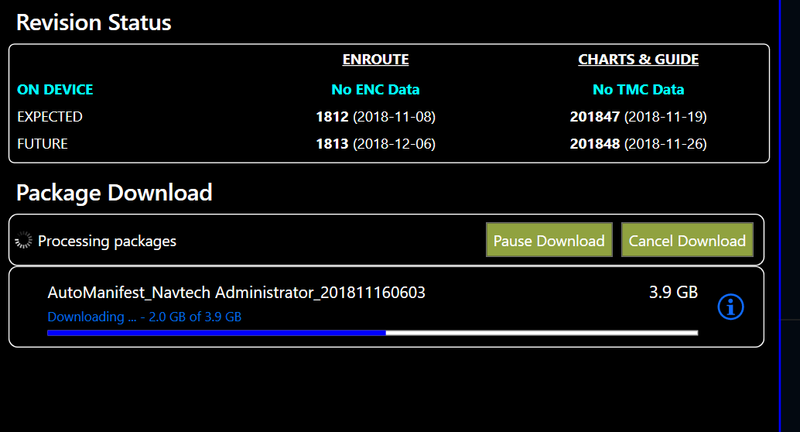 Clicking on the download button will start to download the package. If you change the username, device name, server name, subscription or company name you will need to download a new provisioning package as the existing data will be wiped during the migration process. The first package might be a large file size so please be patient when downloading it as it may take some time to download. Once the download begins a download status indicator will be shown. You will be able to pause resume and cancel the download. Do not quit the application until the download is complete. Once the download is complete the application will automatically restart. An update interrupted by Internet connection problems will resume automatically when you reconnect, provided the application has not been closed using the upward swipe. 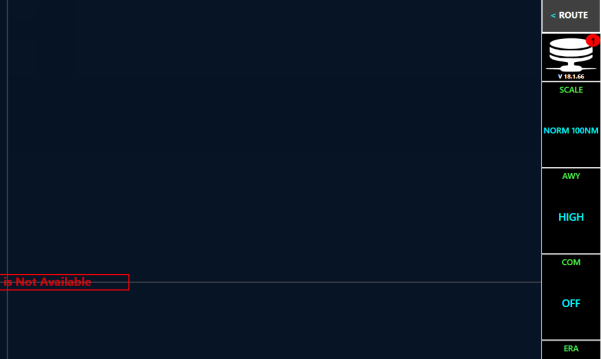 You cannot use Charts+ while the package is being downloaded and deployed. After application restart, the application enters in maintenance mode. The application in not usable during this time. See Administration to avoid unnecessary delay during this step.